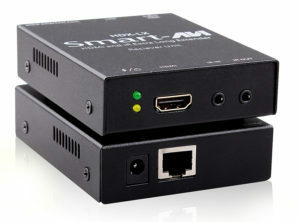 SmartAVI HDMI Extenders offer enhanced signal range for high definition video over HDMI. 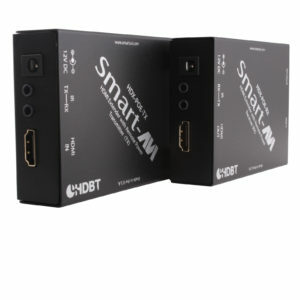 Paired with CAT5 cabling, technology ensures signals retain the very best picture quality possible when sent up to hundreds of feet away at high speeds. 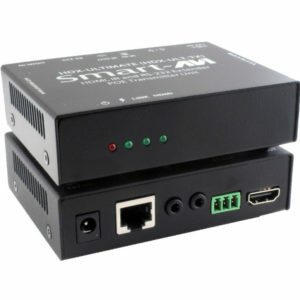 HDMI/power/IR signal extender with technology and POE (Powered Over Ethernet) enhancements for ranges up to 250 feet away. 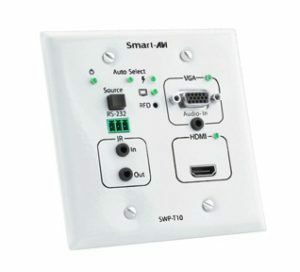 HDMI/VGA/stereo audio wall plate extender with technology, as well as an integrated scaler and video converter. Enhanced range up to 230 feet.